Reviewthebests: We select only the top-rated products with high Quality to test and review as just our recommendation. When talking about camping, it automatically leads people to think about staying in a tent. These two things have gone together for over so many decades, and it becomes that common. However, a new experience of camping now is doing in with a hammock. A lot of campers who have tried this alternative camping way have fallen in love with it and said they love the experience so much while things are a lot more convenient. If you are to try thing out too, the following information will be of a nice to read for you. With a traditional camping tent, it could be challenges to set it up comfortably well as the ground might be rocky and uneven. Especially when you do your camping on the mountain, it is even more difficult to have a good comfort due to the various conditions. 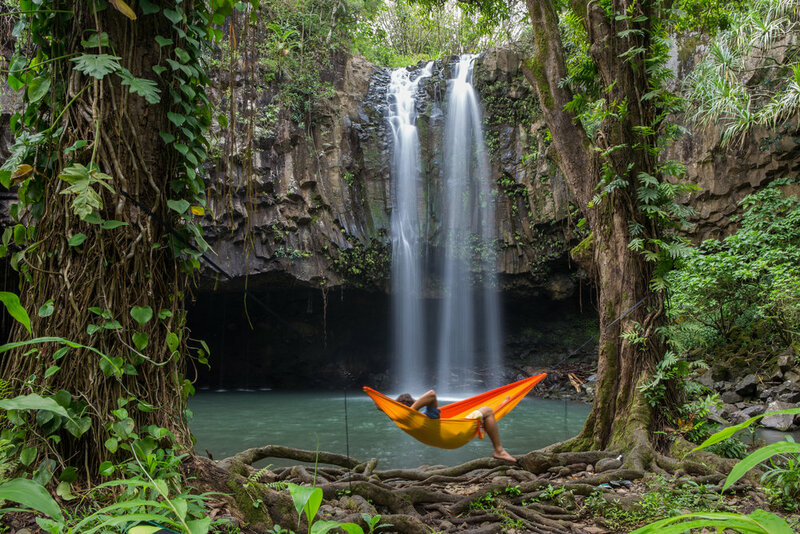 In contrast, a hammock is way easier and much quicker to set up than a tent and could be easily hang anywhere even over the waterfall in some landscapes. With a hammock, you actually have more freedom of location to hang and sleep, in addition. Regarding the comfort, the hammocks which are designed for camping and sleeping are with a lot more features than the normal hammocks. Most of them aim for the comfortable sleep. Thus, as long as you have got a good hammock for camping, the comfort you have got from the sleep is way more than that from a camping tent. To many camping lovers, besides laying down and enjoy reading, they like it more for the outdoor fresh air on their hammock than in the tent. Comparing between a tent and a hammock to bring with to the camping vacation, the hammock is way more convenient. It is lightweight and very space saving. Some of them could be packed to a size of a softball. 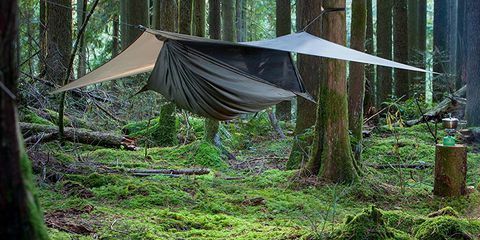 In a good hammock for camping, it weighs only around 3 lbs while the complete design includes so many useful things for a camping. There would be mosquito net, rain fly, and other accessories you will need during your camping in a hammock. In short, all those will be given, and you would need to add in for extra needs such as the pillow for your own extra comfy. In addition, as to the price, it is not so much different between a good camping hammock and a good camping tent. But what that is better is a new camping experience with more comfort and convenience that make so many change to do their camping in a hammock. In case you are convinced and would want to have a try with the new camping experience with a hammock, the following tips will be of a great knowledge for you. The overall design and shape of a camping hammock has a lot to do with your sleeping comfort. It is so much different between a normal hammock and a camping hammock. Features and designs are made to serve a different purpose. It is thus important that you check it well before purchasing. The best thing you could do for this is to check the customer reviews. Those are customer feedback, and the information should be practical. Likewise, the materials of the hammock do matter. 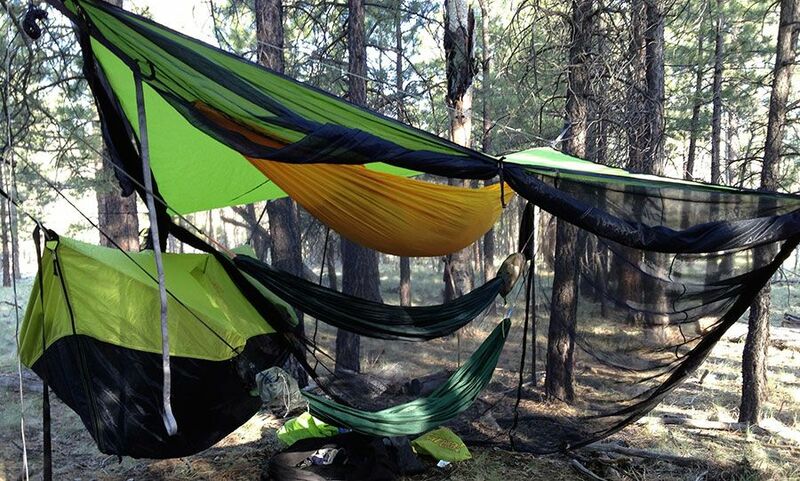 Normally, a good hammock for camping is made from parachute nylon. It is very strong, tear-proof, and could load more weight than the normal materials. Safety is another thing to care about in a camping hammock, especially when you like to hang high from the ground. The hammock has to be well constructed with high quality ropes, straps, and the suspension system. In addition to the hammock, to do a comfortable camping, you would need other accessories such as the rain fly and mosquito net. This helps you greatly in case of rain and insects flying around. Should you need a pillow and sleeping pad too, you can add them in to your list. Another important thing is warm clothing. You may never know what the weather is like. But, if you have a warm clothing with you, you would be good. You might be new to camping in a hammock or the hammock design itself. That is why it is a good idea to practice hanging your hammock at home well. And, once you need to do it at your outdoor, you know exactly how to do it. Moreover, you could work to adjust things in the hammock to make sure it is where you are most comfortable with. During the practice time, you would learn to know and to use all the features in the hammock you have got. This will too give you ideas to utilize it the best during your camping time. As soon as you arrive at the point you want to settle down, it is important that you pick up the best location possible for your enjoyable camping time as well as safety sleep. Basically, you may need the spot that gives you the best natural landscape. And, for safety reason, you would just need two the closeby trees that could support your weight well. The rest will only be about setting up your hammock, rain fly and mosquito net. Choosing the bright color hammock could be of a good help in a case of an emergency. You may go to an open area with less trees and spread your hammock wide so that rescue team might see you easily. 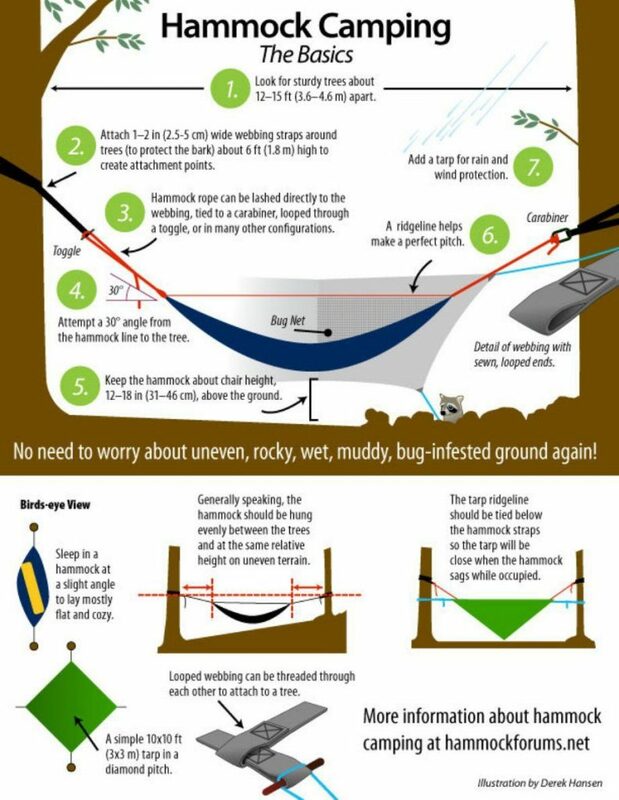 Also, that hammock could be used to collect raindrops as your drinking water if you are away from a water source. At night, it could be used as a sleeping bag too by just filling it with grass, pine needles, and moss. It adds more warmth. © 2019 Copyright Reviewthebests.Com. All Rights reserved. Reviewthebests.com is a participant in the Amazon Services LLC Associates Program, which is an affiliate advertising program, designed to offer a means for sites to earn advertising fees by advertising and linking to Amazon.com.